This buying guide will show you 10 of The Best Work Boots For Men ($94+). If your workplace uses chemicals, electricity, or perhaps you work with heavy equipment, then you’re going to need a pair of safety toe work boots. They’ll be your trusty pals when you’re out on the job. Saving you from all sorts of injuries, from small cuts to nasty burns. If you’re starting a new job that involves heavy labor, it’s time to treat yourself to a new pair of boots! Various work boot features make them more appropriate for certain types of work. Before buying a pair, it’s advisable to understand these differences. So that you can buy the right pair for the job. Steel capped toe boots are an exceptional choice for work. They are very durable and designed with internal steel toe reinforcements. The steel toe will help protect your feet from injury. And most also feature a sole middle plate that prevents nasty puncture wounds as well. There are also composite boots that meet the same functions as steel toe work boots; however, they can also be non-magnetic and non-metallic. These boots are much lighter and can retain heat effectively. Many people say they’re more comfortable to wear. No matter which you choose, it’s important they meet the standards and requirements for safety set out by ANSI ( American National Standards Institute) and the American Society for Testing and Materials (ASTM). 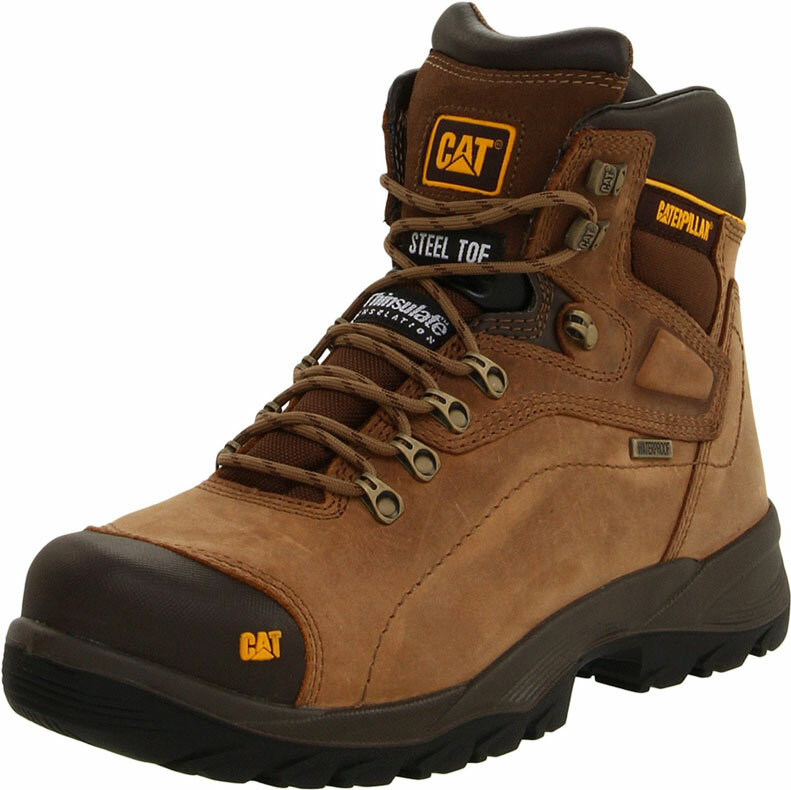 They require men’s safety toe work boots to provide protection against shock, punctures, impacts, cuts, and compression. To help you find a great pair of safety toe boots for work, we’ve provided a list of ten of our top picks for your consideration. 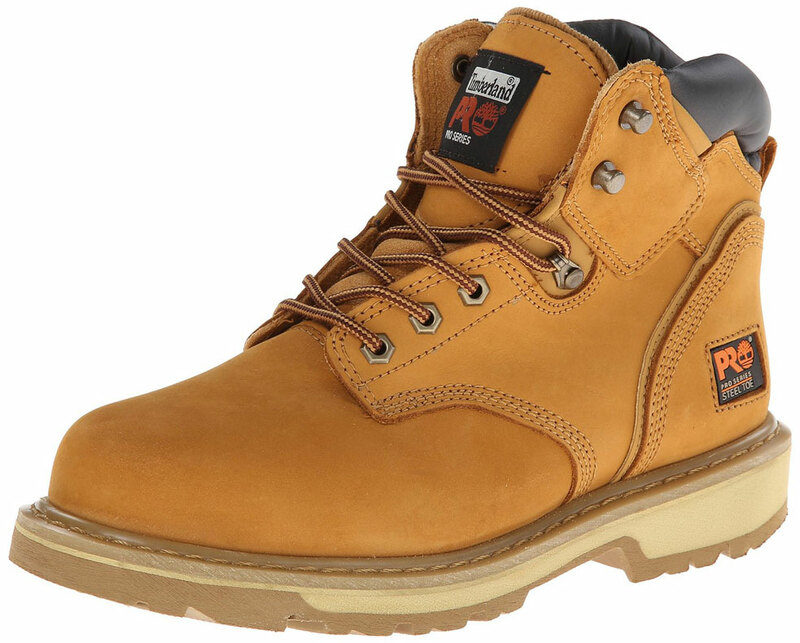 The Timberland 26078 Mens Work Boot ($155) have been one of the most attractive pairs of safety toe work boots for almost thirty years. The classic work boots come complete with the Power Fit Comfort System. Designed to offer maximum support and comfort to critical areas of the feet. Manufacturers make the safety toe from an aluminum alloy. It provides a high level of protection similar to steel but half the weight. These boots don’t have a break in period, so you can wear them to work straight away. 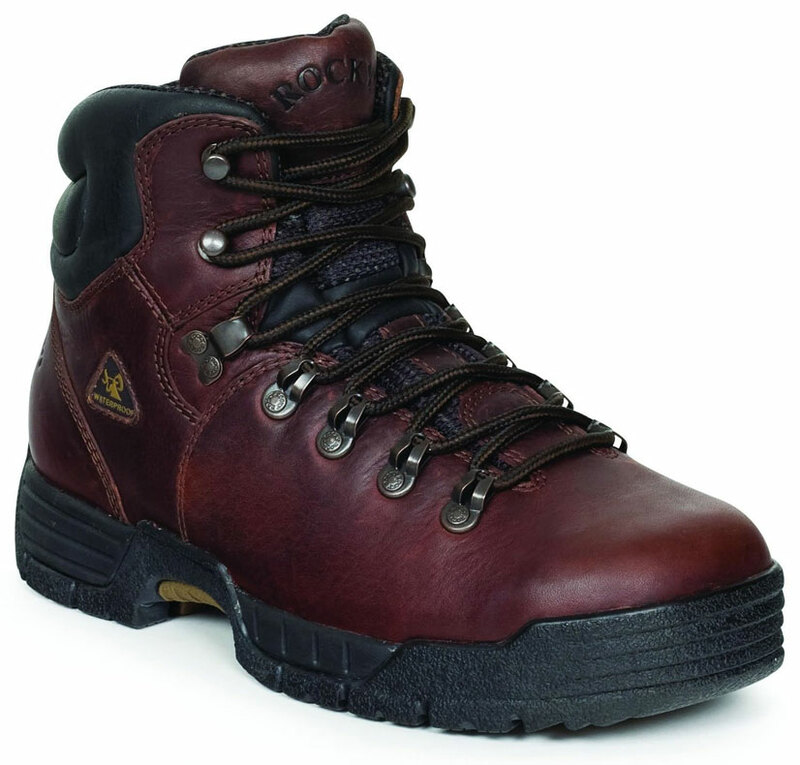 Timberland designs the boots in their Titan collection to ASTM standards, so they are ideal for hard workers. The Keen Utility Men’s Tacoma Steel Toe Mens Work Boot ($160) are priced right and designed to tackle a common problem men face when buying safety toe boots; that’s their weight. Instead of covering a large area of the boot in steel, Keen has chosen to provide cover for the actual toes instead. There’s more substantial part of iron over the big toe than there is for the little toes. The result of this intuitive design is lightweight boots offering significant protection. The boots have a distinguishable design and are highly durable. They’ve been made to meet and exceed ANSI Z41 PT99 standards and, therefore, offer electrical hazard protection from open circuits. The Caterpillar Men’s Diagnostic Steel Toe Waterproof Mens Work Boots ($113+) will keep your feet dry no matter what the weather. The great thing about these boots is in addition to being waterproof they’re also very breathable. You won’t have to worry about your feet getting overheated. They have steel toes that meet the ANSI standards; however they are a little heavier than their composite toe counterparts. You may not have heard about Danner’s before but as a Company they are well known for their fantastic range of work boots. The Danner Men’s Quarry GTX 8” AT Mens Work Boots ($260) are a particular favorite of ours. Manufactured with high-quality leather and triple stitched, they’re handcrafted boots that are built to stand the test of time. As an 8” boot, they sit quite high on the ankle, which may not be preferable for some. However, they do offer extra ankle support and insulation. The Danner Men’s boots also offer memory foam inserts for extra comfort and a lightweight alloy toe that exceeds ASTM F2413-05 M I/75 C/75 EH standards. If you’re looking for a stylish yet practical pair of men’s work boots, you’ll love the Thorogood American Heritage Safety Toe Mens Work Boots ($190). These have a high cut design, yet are super breathable, making them ideal for wearing in warm working conditions. They have both a shock absorbent sole and additional insert. They are comfortable, protective and do not need breaking in. With a slip-resistant outsole and steel toe, which complies with ASTM F 2413-05 M/I/75/C/75, they’ll make a fantastic choice. 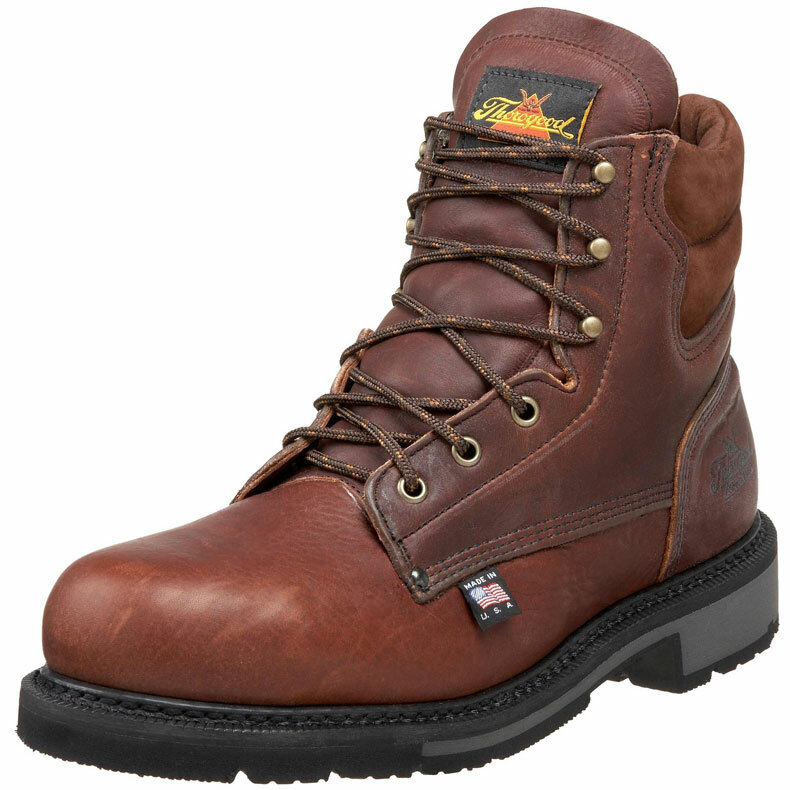 The Timberland Pro Men’s Pitboss 6” Mens Work Boots ($110) are another bestseller. Made using Goodyear welt construction, they’re built to last and also come in four different colors. The Timberland work boots are comfortable to wear and come with steel toe construction that meets ANSI safety standards. They are also waterproof and equipped with electrical hazard protection. Since making boots for the military in both world wars, Red Wing Heritage have built up a fine reputation on the marketplace. 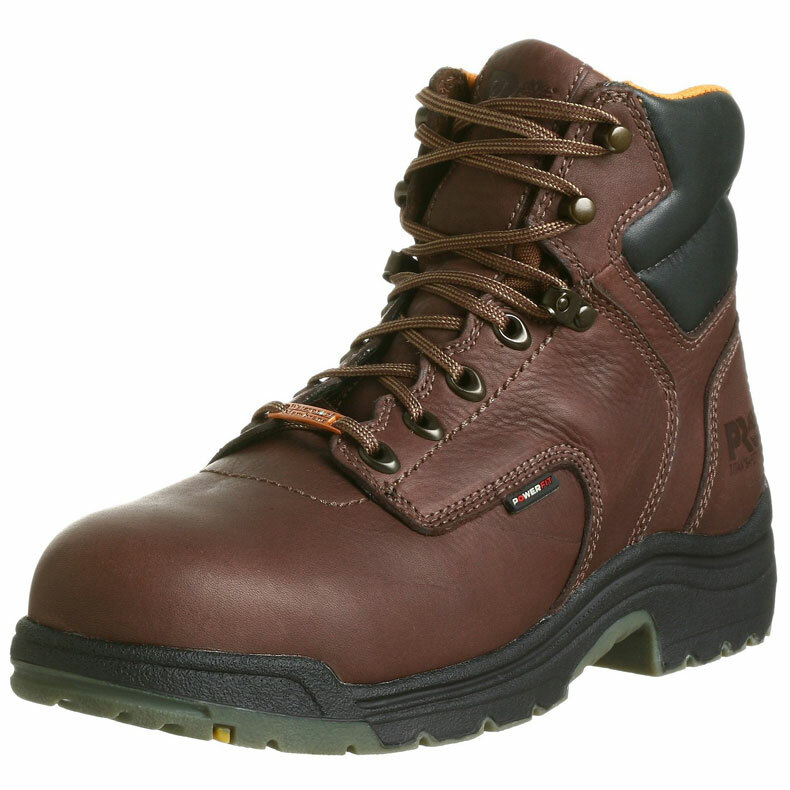 The Company is renowned for making what many believe are amongst the best men’s work boots available. 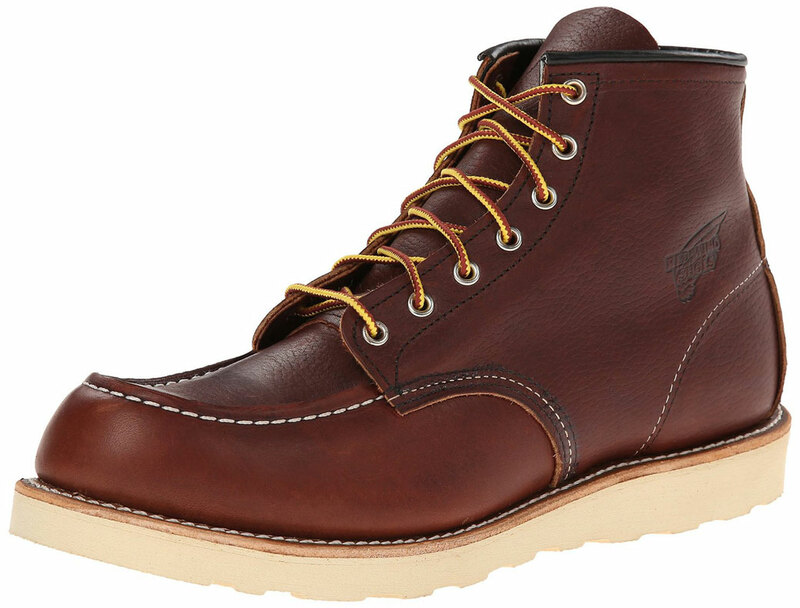 The Red Wing Heritage Classic 6-inch Mens Work Boots ($220) have perfectly contoured soles, which provide sufficient support all across the shoe. They also have triple stitch style seams and welted outsoles, proving they’re designed to stand the test of time. With safety toes that meet ANSI standards and a surprisingly lightweight design, they are very popular with workers. Particularly those who operate within a warehouse setting. If you’re after a pair of reliable, tough, leather work boots, Dr. Martens Iconic Industrial Strength Steel Toe Mens Work Boots ($94) will make a fantastic choice. With ample ankle support and inbuilt slip-resistance they are ideal for wearing all day long. The Dr. Martens boots are also water resistant and absorb electrical shocks; they will protect you from a number of hazards. These boots have ANSI-rated protective steel toes. 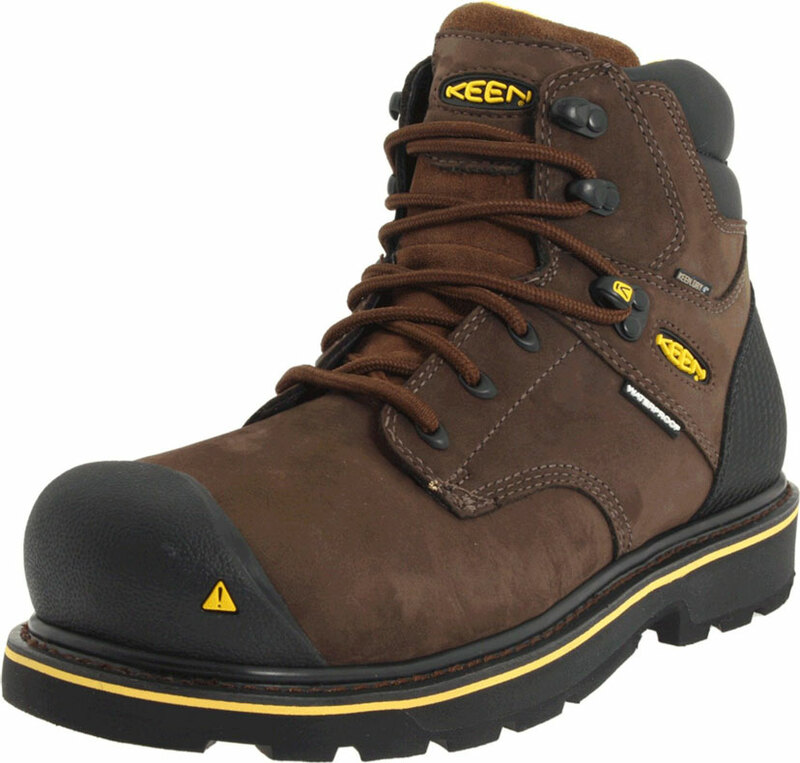 If you’re into your Keen work boots, you’ll love the Keen Utility Men’s Pittsburgh Steel Toe Mens Work Boots ($160). 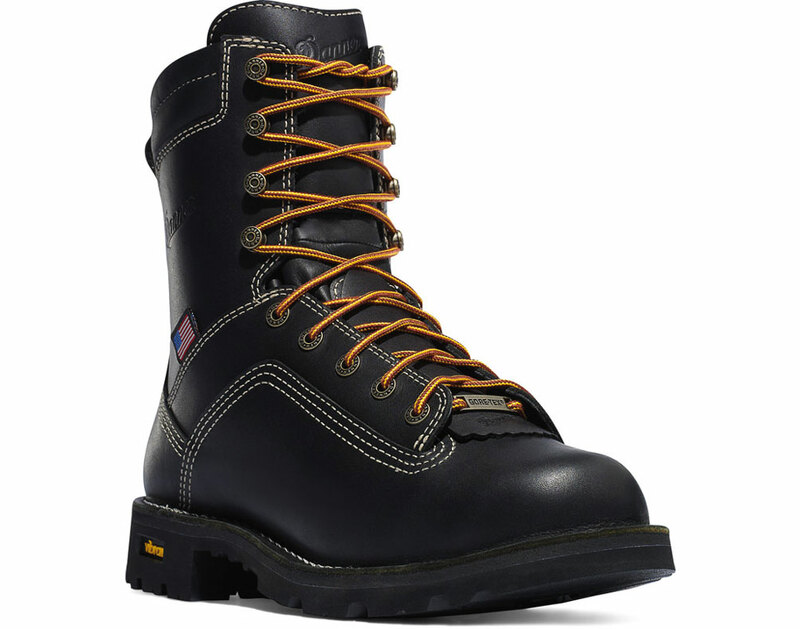 Designed with the industrial city of Pittsburgh in mind, the boots are perfect for steelworkers. With breathable, waterproof leather, slip-resistant soles and protection against electrical hazards, they’re a pair of boots you can rely on to keep your feet safe and comfortable. 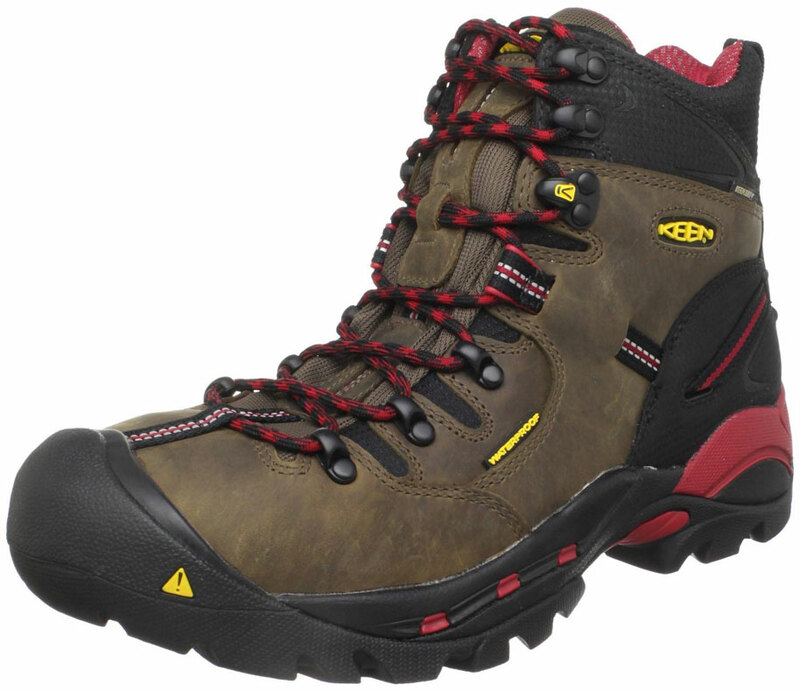 Last but not least, we have the Rocky Mobilite Steel Toe Waterproof Mens Work Boots ($160). These work boots meet the ASTM Protective Toe Classification and can, therefore, withstand significant weights of up to 75 lbs. of impact and compression. The boots also meet electrical hazard standard requirements. If you’re looking for a pair of men’s work boots that are supportive, water resistant and have a protective steel toe for under $200, these make an excellent choice. NIKE VANDAL CLOG : WOULD YOU?